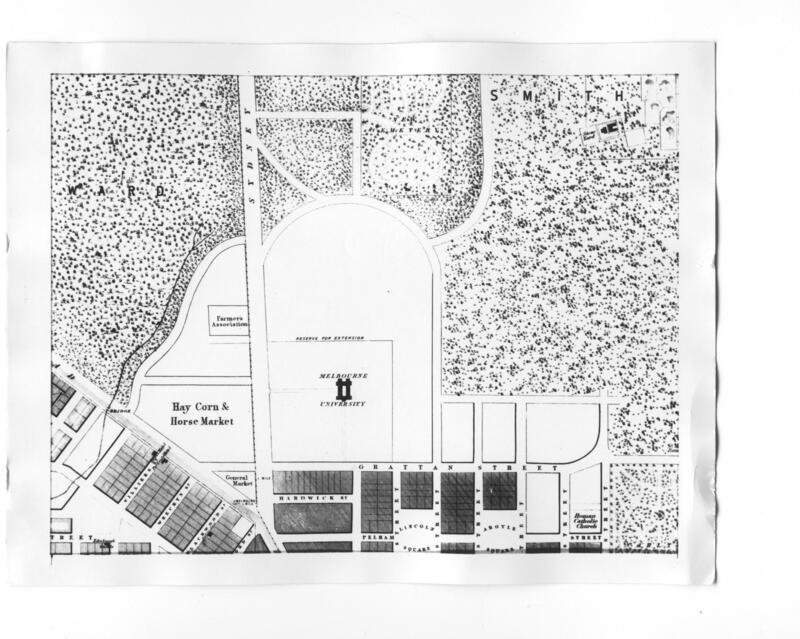 Following the abandonment of a proposed Eastern Hill site, the University Council was on 9 November 1853 advised that 25 acres [10 hectares] of land one mile [1.6 km] from the centre of the city at the intersection of Grattan Street and Sydney Road (now Royal Parade) would be granted to the new University, though the Council sought from the very beginning to gain control over the much larger area that now comprises the main campus of the University and the adjoining residential colleges. At this time neither Parkville nor Carlton existed. 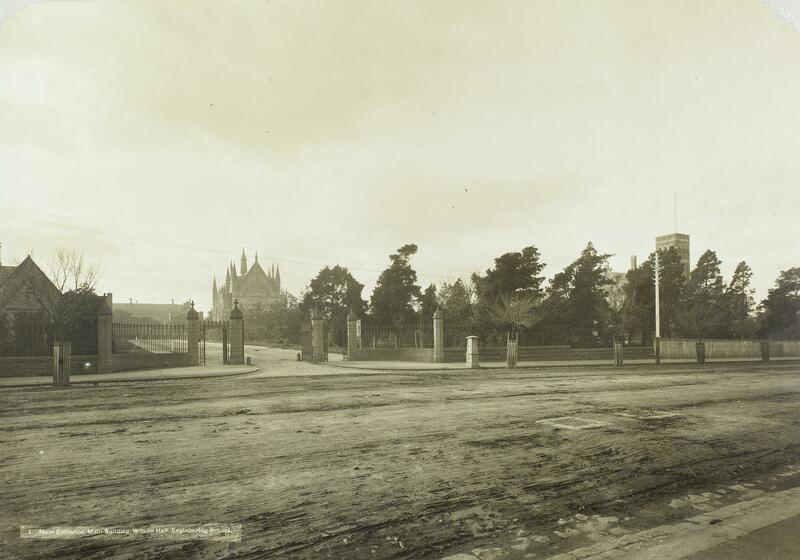 The first building, with a grand approach, was sited to face Grattan Street and thus form an axis with the intersection of Elizabeth and Victoria streets, but the subsequent layout of Carlton ignored the visual potential of a city avenue culminating at the University gates. The Council was however able to persuade the Board of Land and Works that the area immediately in front of the main gates bounded by Barry, Leicester and Pelham Streets should be preserved as open space. Part of what was first known as Barry Square and then University Square was leased for a bowling green at a later date. In 2002 it was returned to open space above a multilevel underground carpark as part of the development of the Melbourne University Private precinct. 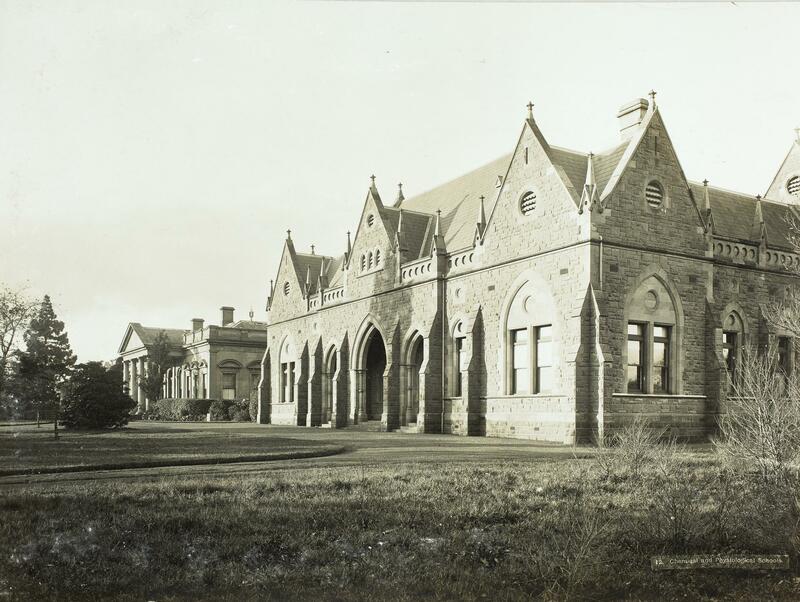 To the north east of the original building an area where the Bouverie Creek meandered rather sluggishly was excavated to create a lake - a feature of the University Grounds until it was filled in the late 1930s to make way for the new Chemistry Building. 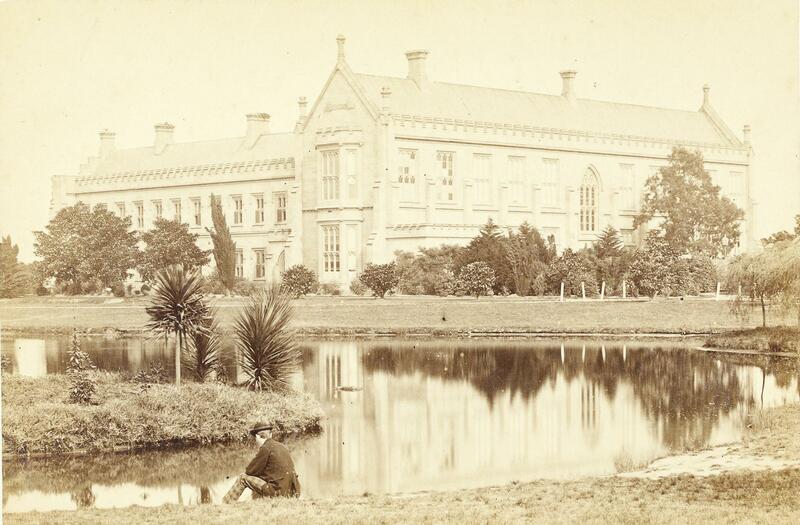 The failure to complete the south wing of the Quadrangle, the picturesque landscaping designed by Edward La Trobe Bateman and the romantic imagery of the lake shifted the visual focus of the University. Most early views are taken across this lake and later university buildings were oriented inwards, rather than outwards towards the city and surrounding suburbs. Though the public could cross the grounds and wander at leisure at the weekends (provided they did not smoke) and were encouraged to visit the National Museum from 1856; the erection of a fence and gatehouse served to suggest a private rather than a public space. Quadrangle, North wing and lake. 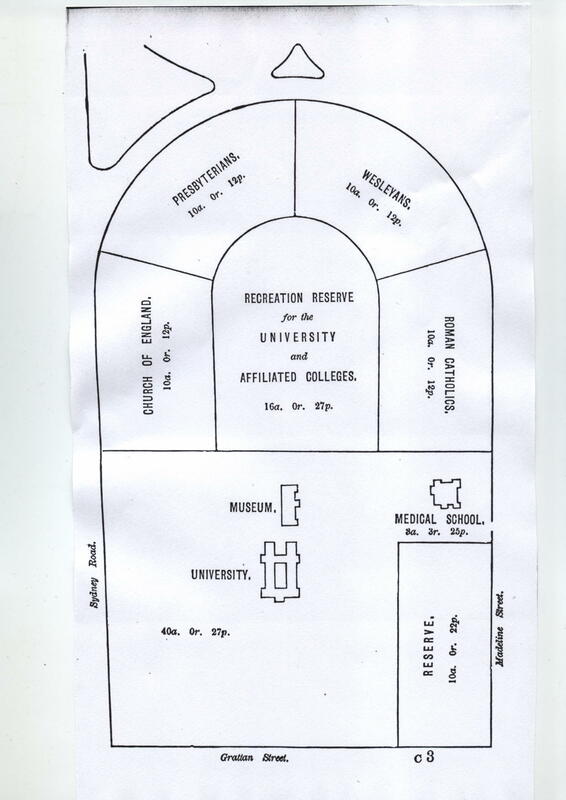 The maintenance and development of the physical environment of the University was entrusted to the oversight of the Buildings Committee of Council and an ever-growing staff of administrators and workers (which in the earliest years included convicts under guard set to laying out the grounds for Professor McCoy). Until the appointment of a Vice-Principal in 1965, the Registrar exercised overall responsibility for the Buildings Branch.